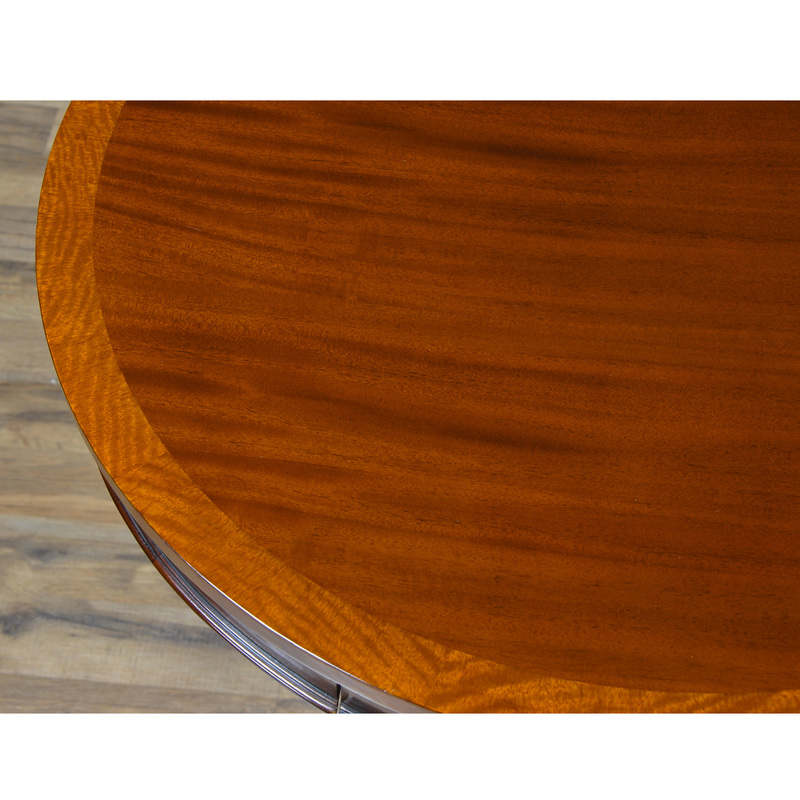 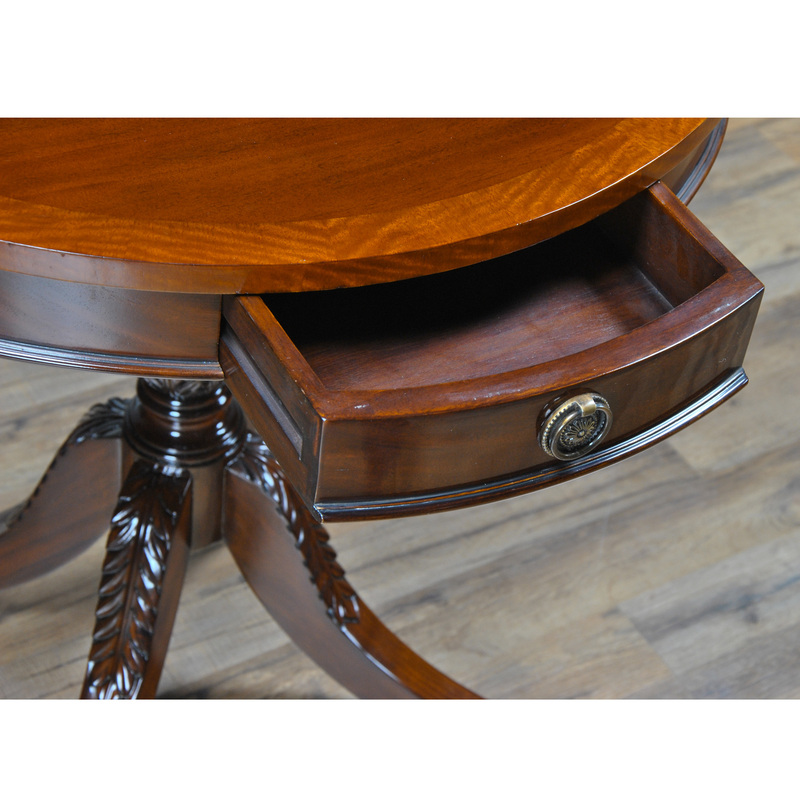 The elegant and refined One Drawer Drum Table from Niagara Furniture boasts great hardware, as well as a satinwood banded edge. 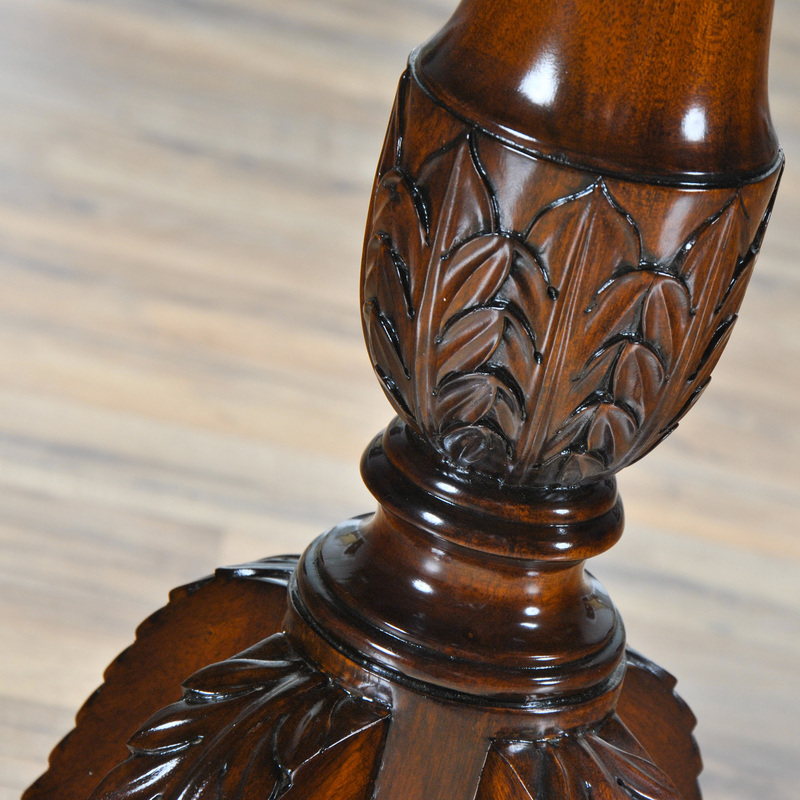 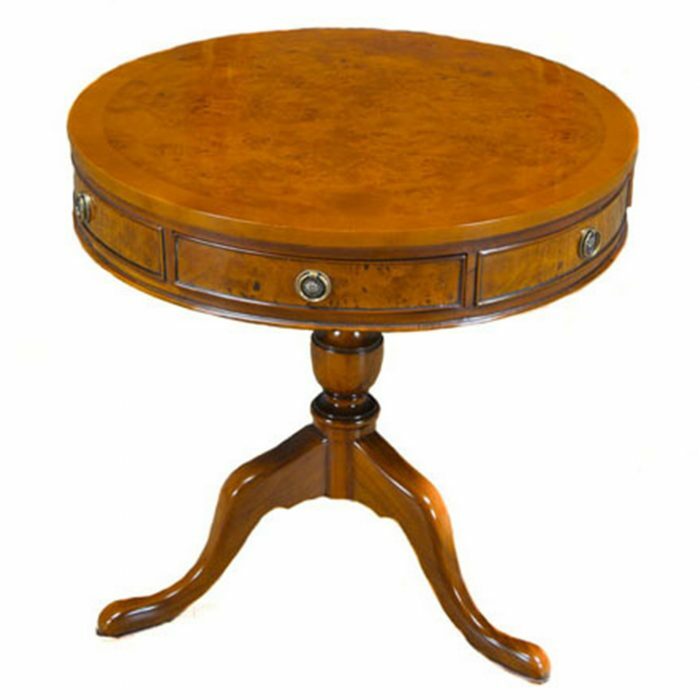 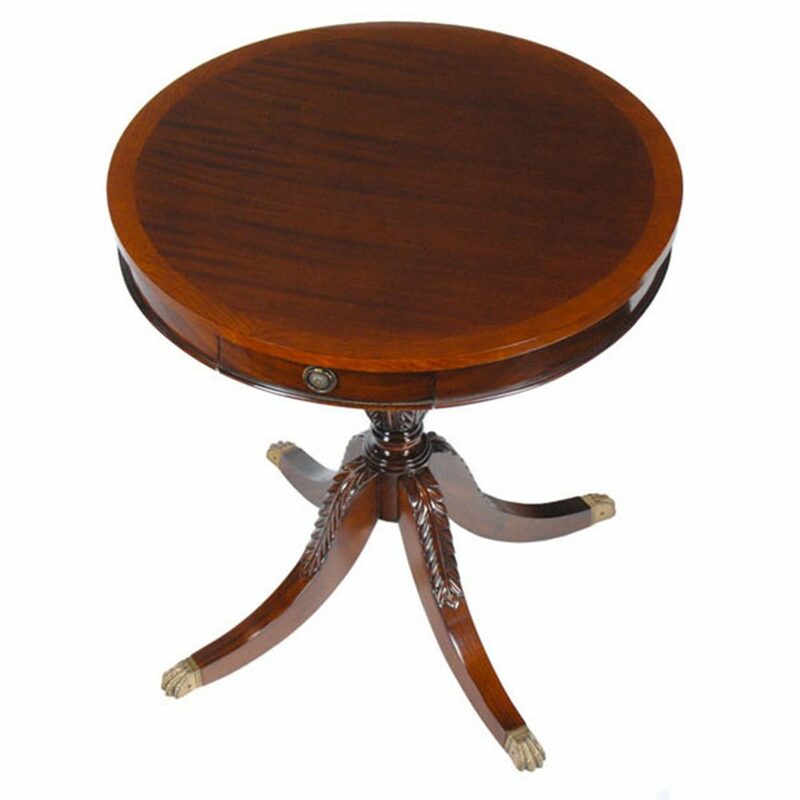 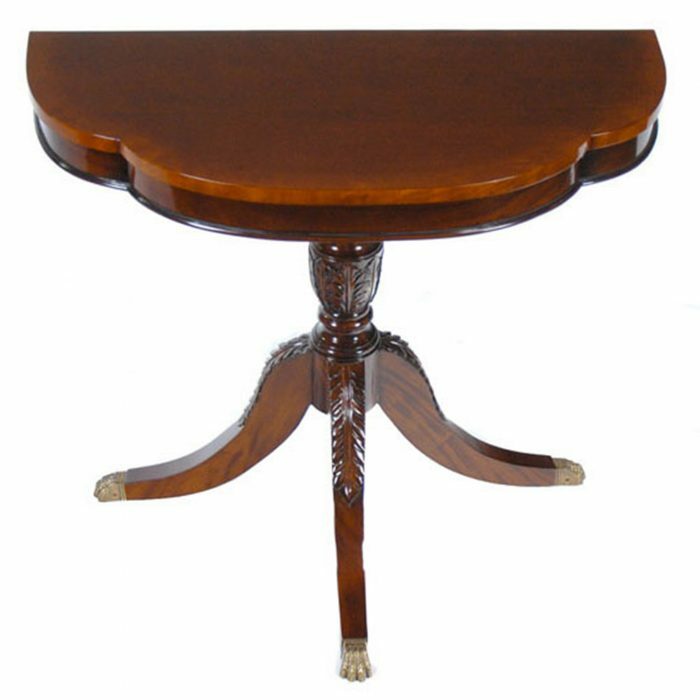 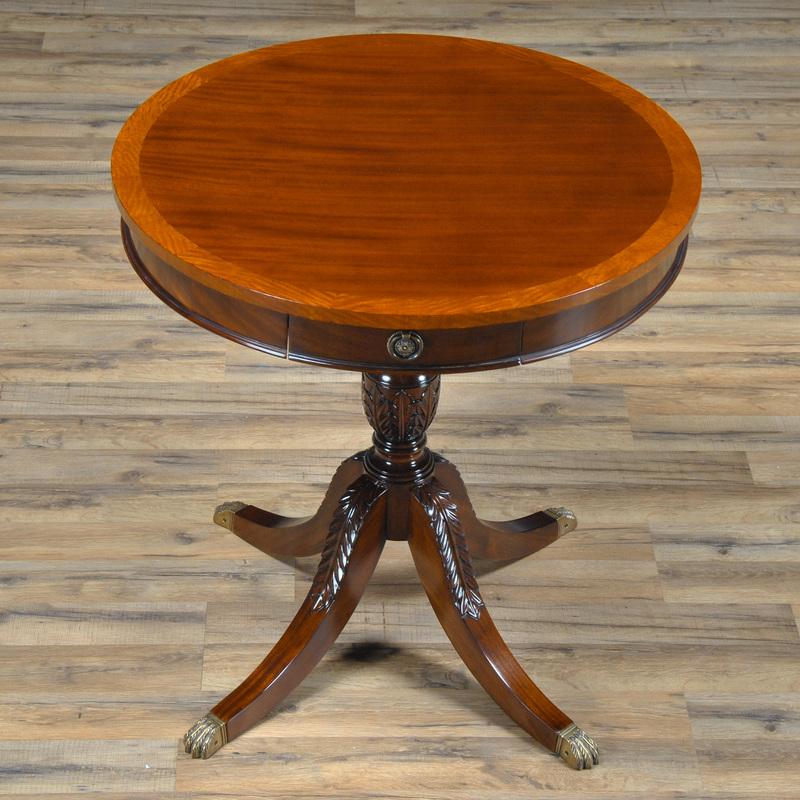 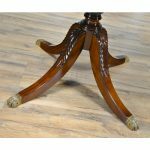 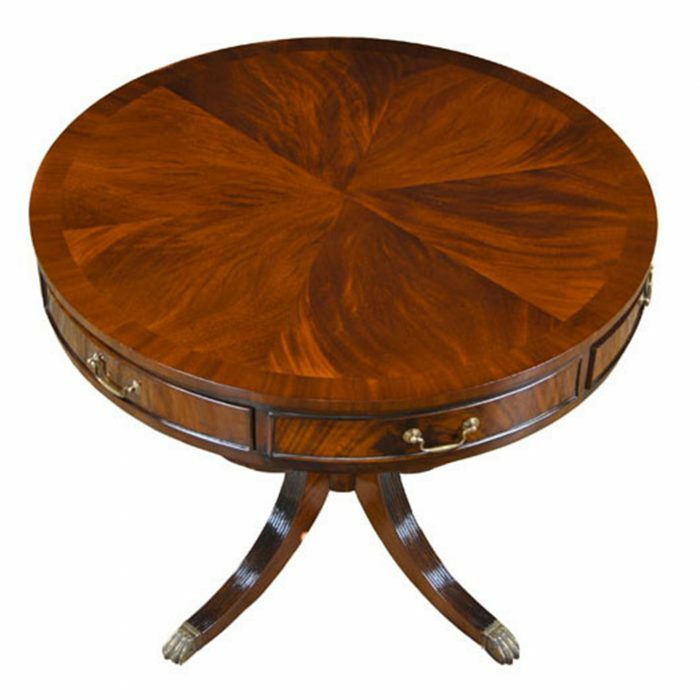 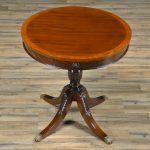 The drum portion of the table is fastened to a solid mahogany, acanthus and feather carved base with brass capped feet. 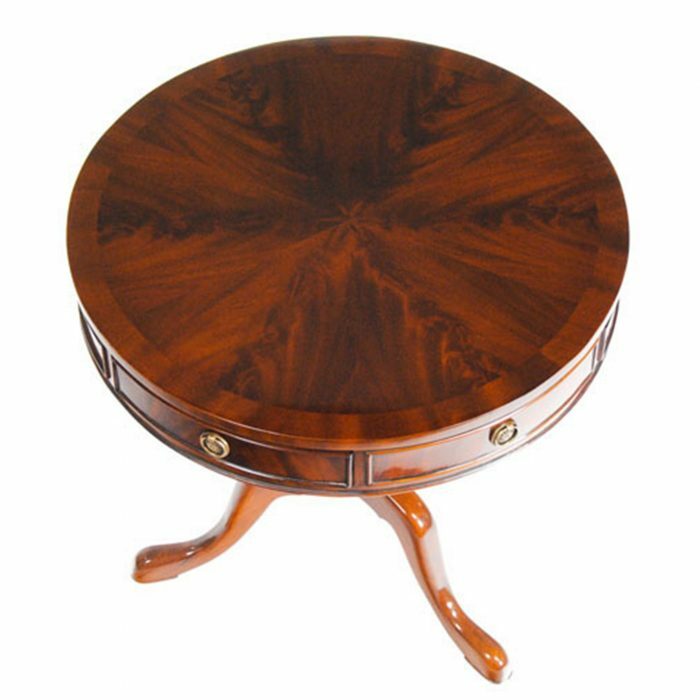 Great for use as an end table but also suited for display in the center of a front entry way, under a window, etc.